3. Natural Fiber Reinforced Composites. 1. Machine and Mechanisms Design. Ismon, M., Chai, R., Ismail, A.E., Zainulabidin, M.H., Noor, F.M., Wahab, H.A., Mohamad, Z., Madlan, M.A., Zaman, I.
Mohd Tobi A.L., Zaman I., Jamian S., Ismail A.E. Ismail A.E., Mohd Tobi A.L. Ismail, A.E., Che Abdul Aziz, M.A. 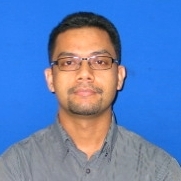 Ismail, A.E., Ariffin, A.K., Abdullah, S., Ghazali, M.J.
Amin, M. H. M., Arifin, A. M. T., Hassan, M. F., Haq, R. H. A., Rahman, M. N. A., Ismail, A. E., Rahim, M. Z., Ibrahim, M. R., Yunos, M. Z., Ismail, R.
Khalid SNA, A.E Ismail, Zainulabidin, M.H. Ismail, A.E., Mohd Tobi, A.L., Siswanto, W.A. Awang M.K., Ismail A.E., Mohd Tobi A.L., Zainulabidin M.H. Mohd Tobi A.L., Ismail A.E.